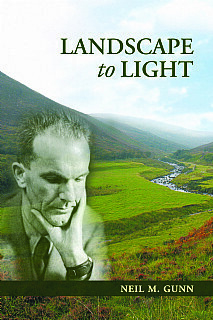 Although Neil M. Gunn is well-known as one of Scotland's foremost writers of the 20th century, he is less well-known as a perceptive and meditative essayist who wrote on a variety of subjects - from landscape, nature and the sea to literature, politics and matters of the spirit. Written in parallel with his novels, these essays contain many of the ideas and speculations that inform them. In this collection the focus is on landscape and the stimulus it provides for a journey of an enquiring mind from the observation of everyday life to a state of self-realisation. The essays mark the route. For example, in The French Fishing Smack there is a sense of freedom that only the sea can give; in The First Salmon a primal sense of adventure captivates; The Heron's Legs cannot but engender a sense of wonder and Light is a signal that the inner journey of the spirit has all but ended. Products of the uneasy and uncertain 1930s, the Second World War and the Cold War, the essays lead not only to a more imaginative and enlightened way of looking at life in troubled times but also to a greater understanding of the mind of this profoundly thoughtful writer. They can be understood as a miniature biography of the writer himself in terms of being a series of moments of revelation and delight experienced during walks in the countryside, fishing expeditions and chance encounters with people and books. Covering 40 years of the writer's life, the essays show that the ideas derived from them evolve rather than change; there is always a sense of movement. In the later essays it is the smallest social entity of all, the human psyche, that fascinates Gunn and becomes the essential ingredient in the search for self-enlightenment. Encounters with Zen Buddhism and other disciplines and philosophies were to reassure him that he had been moving in the right direction throughout his life. Sure to be of huge interest to all those who appreciate classic Scottish fiction and good writing, and to collectors of Neil M. Gunn's work. This collection of essays can be enjoyed at several levels as a guide to everyday living and as an ideal companion for the thoughtful reader for a journey from landscape to light.